The Charterhouse Returns project is looking for support to restore the Charterhouse. If you, as an individual or a business, wish to support the project please contact us. Donations will be listed below but can be kept anonymous if requested. The donation of the Marian[Charterhouse] after 66 years of family involvement by Ada & Doug, Ian, Neil and Anne, Dave and Judith and their children Ruby and Dougie. This gift is a permanent memorial to the Lomas Family. Mrs. Rhian Peters [nee Perkins] of Llandeilo (ex-Fishguard) – Granddaughter of Tom Perkins of the Hermina Rescue 1920. Mr. & Mrs. G. Lewis of Cholsey, Oxfordshire – Gerry, grandson of Tom Perkins, spent much of his infancy living with his grandmother in Harbour Village, Goodwick. Adam Blair Benson-Davies (BA Hons) of Fishguard. Ann & Dave of The Rose & Crown, Goodwick. Canolfan Tinopolis, Stryd y Parc, Llanelli. Mrs. Joyce Johnson of Masham, Ripon. Mr. V. Devonald of Fishguard. John Duncan of Porth Penrhyn – Donating an original engine cover/box. Scott Metcalf of Porth Penrhyn- Professional help and lifting gear. Paul Morgan of Fishguard – Lorry and help during the transport to Fishguard. STENA at Fishguard – Lifting gear, staff and storage. George Galvin of Fishguard – Donating the boat trailer. Mike Iles of Goodwick Marine – Professional help and equipment. The Fishguard & Goodwick Inns were visited by committee member Phil Rees and as a result Individual Raffles were introduced. Thank you for your participation in this fund raising event. The winners of our first raffle were Henry Jones and Alan Coy. Our thanks to Sue and Steve for participating. 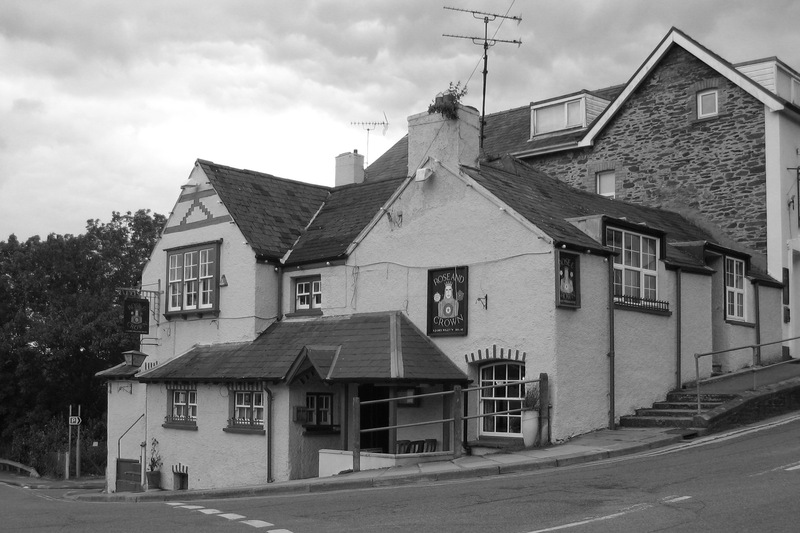 The winners at the Pendre Inn were Peter Kedward and Billy Davies. Our thanks to Jay and Charlie for participating and to Sheilaugh for being a first class salesperson! Our thanks to Thanks to Ann & Dave for participating. The winners of the second raffle at the Pendre Inn were Viv Griffiths and Alun Cole. Our thanks to Jay and Charlie for participating and to Sheilaugh and Martin for being a first class salespersons! The winners of the raffle at the Abergwaun were Billy Baskerville and John Sinnott. Our thanks to Helen for participating.